The post ECB Live Coverage July 2016 appeared first on Forex Crunch. The post USD/JPY crashes under 106 on helicopter denial appeared first on Forex Crunch. The post UK retail sales disappoint with -0.9% – GBP/USD falls appeared first on Forex Crunch. The post USD/JPY settles above 107 on more helicopter / stimulus talk appeared first on Forex Crunch. The post ECB to send EUR up or down? Two more opinions appeared first on Forex Crunch. The post USD/JPY: Top-End Of Range Into BoJ Then Bust: Get Ready To Sell – Barclays appeared first on Forex Crunch. The post ECB Preview: Will Draghi pre-announce September stimulus? 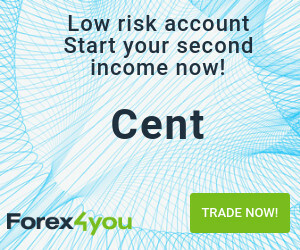 [Video] appeared first on Forex Crunch. The post Tension growing towards key Brexit numbers and the ECB [Video] appeared first on Forex Crunch. The post Brexit? What Brexit? BOE survey shows less reasons to worry appeared first on Forex Crunch. The post UK job figures look good (pre Brexit) – GBP rises appeared first on Forex Crunch.